A West Allis woman is in a race against time to get a kidney. Doctors have given her less than a year to find an organ so she is going to extreme lengths to save her life. 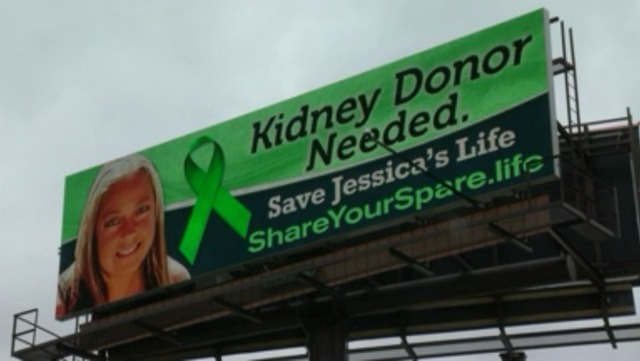 Jessica Wickersheimer and her family bought a few billboards asking someone to help. The billboards read: "Kidney Donor Needed. Save Jessica's Life. ShareYourSpare.life." Wickersheimer grew up with juvenile diabetes and complications from the disease made staying healthy a battle. "When I was 21 I lost my eyesight fully. I had to get surgery to get my eyesight back," said Wickersheimer.